The Ladies of DC & the Guys of Marvel? Like all the characters? Check. Think the cover and the name of the title is stupid? Check. Inside better than the outside? Check. Just another reason why DC fails just as much at marketing as Marvel? Check. In many ways, this story seems so similar to Ed Brubaker’s run on Catwoman. She’s feeling a need to reinvent herself and gathers all the women up to make them better people. 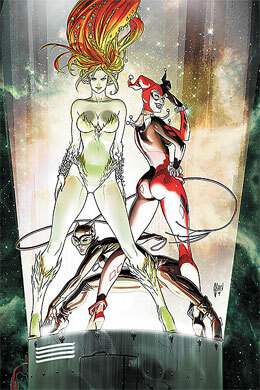 And of course, Ivy and Harley are never going to be good. However, there is a certain satisfaction I get from watching these characters pummel the male baddies who get in their way. Once again, I feel confused as to what exactly is going on. Okay, there are some threads. Apparently, Genocide is going to be born? Does that mean that she wasn’t actually Wonder Woman, but her sister? 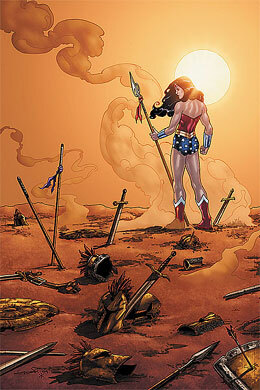 Since Wonder Woman left her people to head back to Earth, does this mean she’s going to reunite with Nemesis? Can you really kill Ares? Especially since Wonder Woman almost died taking down Genocide? And then there’s Zeus and how Athena is not really dead. Ah, Olympian Pantheon is so muddled sometimes. I think this issue was mostly filler. 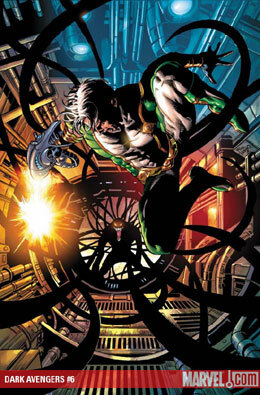 But does the cover mean that Venom ate Noh-Varr? I did like seeing Victoria Hand remind everyone just how awesome she is. I really hope she gets her own title someday, even after Osborn’s stint as world leader ends. It is kind of fun to watch crazy people be crazy and try not to be so crazy. Not sleeping makes everyone crazy, especially if you’re actually the Green Goblin.